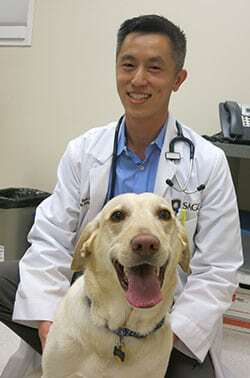 Oncology for pet cancer doesn’t have to be scary. Catch these two helpful Tripawd Talk Radio shows about cancer care, treatment and even how to laugh while fighting it! How do vet oncologists decide on chemotherapy treatments for their patients? What if I have different chemotherapy treatments to choose from? How do I decide which one to use? Does chemo hurt? Will my pet get sick? What happens if she/he does? Is there anything I can do to avoid that? Is there any way to cut the costs of chemo? Are there any foods or supplements to avoid during chemo? If so, why? What’s your take on holistic alternatives to chemotherapy? 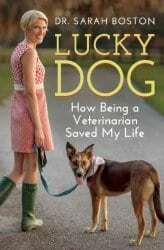 As the talented author of one of our all-time favorite books “Lucky Dog: How Being a Veterinarian Saved My Life” Dr. Boston is a brainy, lovely and witty oncologist who shares her bumpy ride through the human oncology medical system when she diagnosed her own case of thyroid cancer. Each day Dr. Boston is helping our pets fight cancer as Associate Professor of Surgical Oncology in the Department of Small Animal Clinical Sciences at the University of Florida Gainesville. Her area of clinical interest is in surgical oncology and research interests include: osteosarcoma, hemangiosarcoma, thyroid carcinoma and soft tissue sarcomas in dogs. 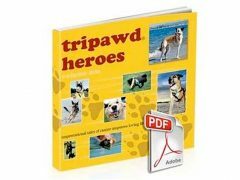 On this episode of Tripawd Talk Radio we’re thrilled to ask Dr. Boston about her experience as both a cancer patient and clinician, and how it has touched her daily experience working with patients. Of course we’ll also discuss the University’s advances in the field of surgical oncology as they relate to limb cancers often encountered by Tripawds members, such as hemangiosarcoma, soft tissues sarcomas and more. 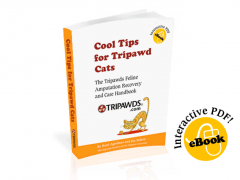 Catch all Tripawd Talk Radio episodes!